We have some incredible news about our wireless refuge system. Our Wireless RefugeWatch™ system is going digital. RefugeWatch™ is an emergency voice refuge system. 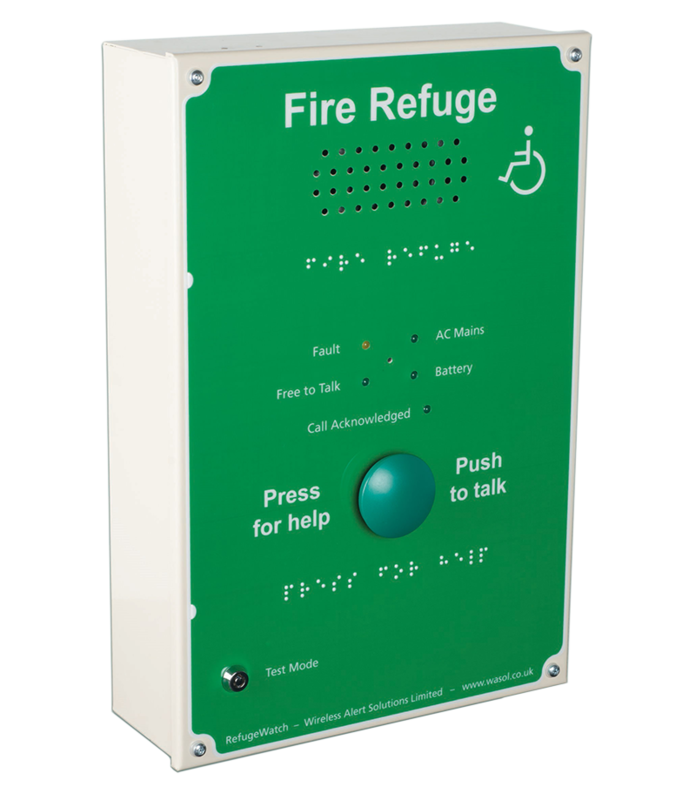 It was designed to allow disabled people to go to a safe area and communicate that they need assistance. The wireless feature allows you to fit the refuge system with minimal complexity so all you need is a mains supply. What difference does digital make? More intelligent; it can track faults, modify performance and avoid issues automatically. Scope; a digital signal allows us to use the mesh network of outstations, extending the range. Adaptability; the system is designed from the ground up to provide a series of interfaces and functions. Reliability; remote monitoring, data interface and remote testing. Price; astonishingly for a system that is taking such a huge leap forward, we are looking at halving the price. This will also mean much lower maintenance costs.